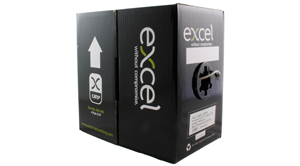 A Single Gang Bevelled Faceplate complete with one Excel Data Module, centralised in the faceplate using blanks to enable future upgradeability to a double outlet. 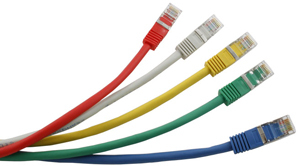 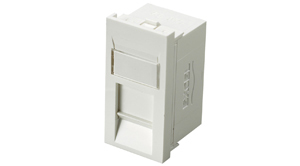 Excel Cat5e RJ45 modules comply with the EIA TIA Standard for enhanced Category 5. 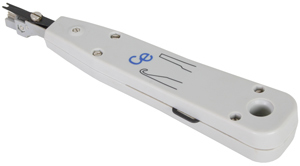 The shuttered module is supplied with a slide label field and space above, this is allowed for use of self adhesive or further labelling if required. 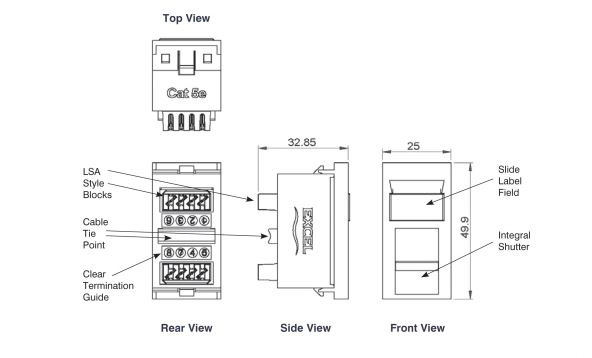 Termination can be made using Krone tooling, a cable tie base is positioned between the IDC blocks to relieve cable stress.